For a small employer, with very little turnover and few benefit options, ADP may be too costly for the benefit. There are many affordable payroll providers available for small organizations.For large employers with many benefits options, employees in multiple locations, multiple tax jurisdictions and varied pay types (salary, hourly, commission, etc), ADP is ideal. The extended customer service hours, extensive resources for international pay, and capability for multi state taxation is crucial for an international employer. The cloud is well suited for keeping your data secure, not having to maintain on premise servers. It's also good to have regular updates pushed to your environments. 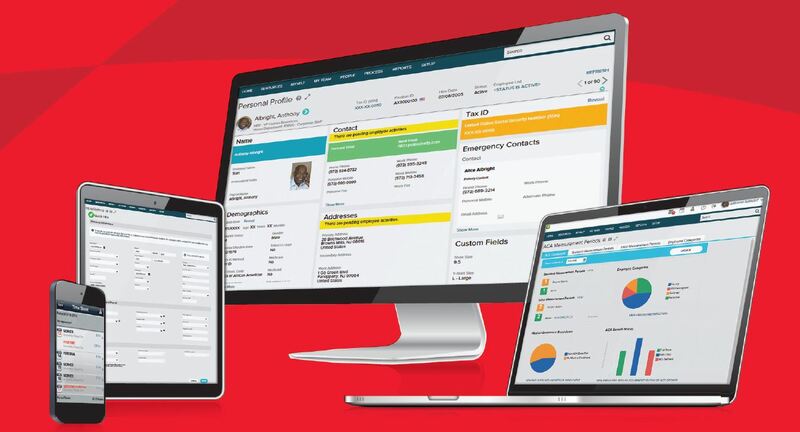 The Taleo product is not well integrated together like the new HCM product is, but overall there are more benefits to the cloud than draw backs. The blending of all aspects of HR in ADP makes the system use very fluid. We like that we can have the employee in the system from hire to retire. Allowing employees to have access to their own information is very empowering for them. We like that employees can look at their benefit enrollments, tax information and address along with their payroll history. This is very empowering from an employee standpoint. From a manager standpoint I feel that the system gives the manager great power to make decisions. It can be simple things like workforce planning but also things along the lines of performance evaluations and annual reviews and pay increases. Reporting abilities are AMAZING. You can get a report on basically anything you want in ADP. It can be a challenge to find out how to get that information into a report but the Customer Service help when it comes to custom reporting is great. Some of the fields are not intuitive, meaning that when filling out things like phone #s and SSN's, the cursor does not automatically move to the next field once it is completed. The performance management section doesn't fit our needs like we had hoped. We do not use a rating system for reviews and the ADP system is set up to be more advanced than what we are as a company. There's no way that we can change this so far and that's unfortunate. Because ADP is such a huge program it runs a lot on cookies/cache. Because of that we have employees who really struggle with their passwords and the fact that we have them punch in and out on a public computer. Previous users and multiple tries with passwords seems to impact the next person who logs in. Taleo is missing a strong training/education piece for new users. It's not an easy program to learn. And it's not an easy program to use until you learn enough about how it operates and the rules that govern its structure--like using a lot of energy and slowly pushing a big heavy object until it gains enough momentum to make pushing it noticeably easier. For a small to mid-size business (250 employees now) to expand the functionality of Taleo (which definitely exists in the program) you're looking at a substantial investment in time and money to train well an administrator and daily users as well as hiring managers. I'd like to see an easier and cost effective interface with other HR software such as payroll and a core HR program. It's in. It works. The cost compared favorably to the competition. I cannot imagine there would be reason to switch at this point. Most functionality is intuitive, but there are some fields that are unique to other processes that need to be identified on screen so the user knows when a field is required to accomplish a specific goal. Oracle managed to maintain its useability advantage. It will have new competitors on eRecruitment, where needs are quickly changing. The payroll support is excellent, but the support on the technical side is lacking. The support for the portal is especially lacking. I think they need more training to be able to serve the customer more efficiently. I have had issues with employees not being able to log in even after resetting the password, and have had to call back a couple of different times to get results. Luckily I don't have issues that I need to call them about very often. Oracle has an excellent support model. The challenge is in adopting this support model and making traditional IT and non-mature system administrators use this model. In combination with the Oracle Cloud (client) Community, the support is excellent. There is a lot of potential on Fusion. We have reaped about 10% of potential benefits. Especially on Workforce Intelligence, the opportunities are huge. The reason why we do not use the solution at its full potential is not in the product (which is simple and transparent). A roadmap is under construction to bring more of its potential to the end user. Prior to our switch to ADP in 2009, we used Abra and had to manually enter timecards and record time. 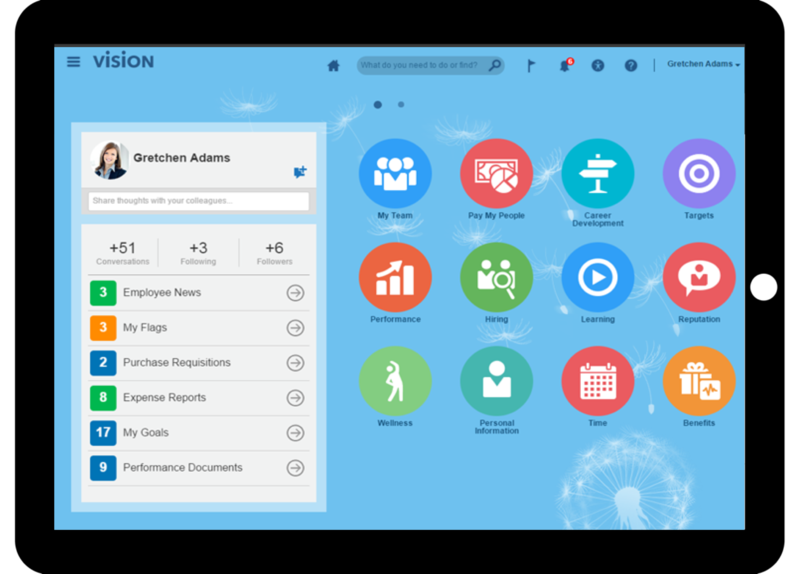 The flow in ADP Workforce Now is wonderful! When placed head to head against iCIMS, in my opinion TALEO is the better choice. Again in my opinion, I have found iCIMS to be not as versatile and also not as customizable with other enterprise applications. It is important to note that that all ATS tools have inherent positives and negatives and that the aforementioned is a personal preference. Taleo (owned now by Oracle) continues to be an incredibly powerful product and it's scalability is among the most robust of any ATS in use today. I handle all payroll aspects and the administration of our benefits, ESOP and 401k. Before ADP, I had an assistance who would key hours into our old system. Had so many key errors and we no longer have that since the employees clock in and out on their computer. Payroll is completed so quickly that I have more time to focus on other issues. Fewer technical issues with the online application process. Speed of hiring and onboarding process has increased. Performance evaluations are completed with less difficulty.